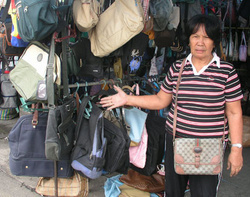 An ukay-ukay vendor at the Agdao public market shows her ware. 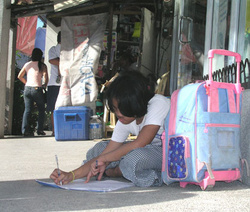 For as low as 150 pesos, a bargain hunter can have a branded, top-quality backpack. 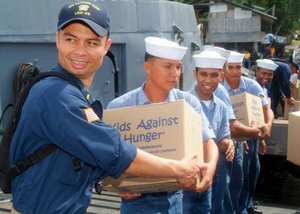 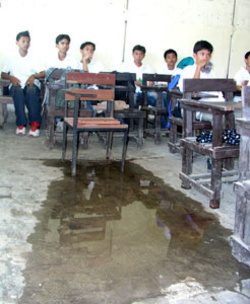 | Read the story (davaotoday.com photo by Barry Ohaylan). 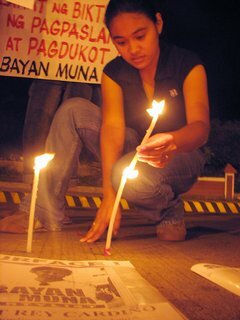 In Solidarity. 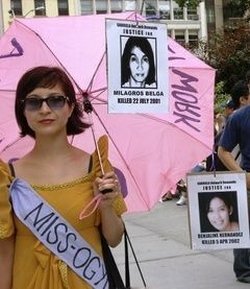 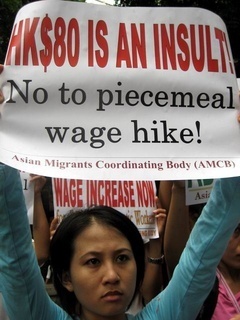 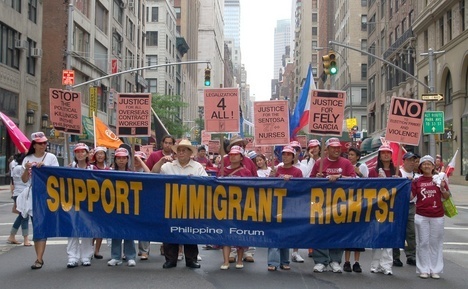 Filipinos in New York take to the streets this week to express support for the so-called “Sentosa 27++,” who were victims of alleged illegal recruitment by a major healthcare management company in New York that recruits nurses from the Philippines. 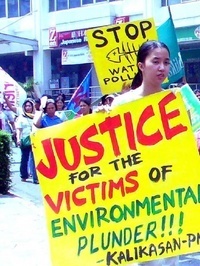 Read the story.